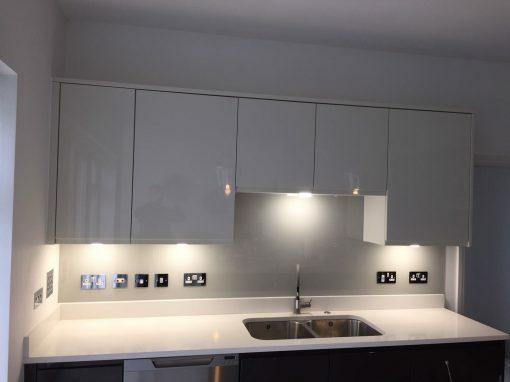 At Southern Toughening Glazing Whitechapel, we offer top-notch toughened glass splashbacks that are easy to clean, an extensive variety of colors to choose from, we make bespoke orders to your specific requirements. 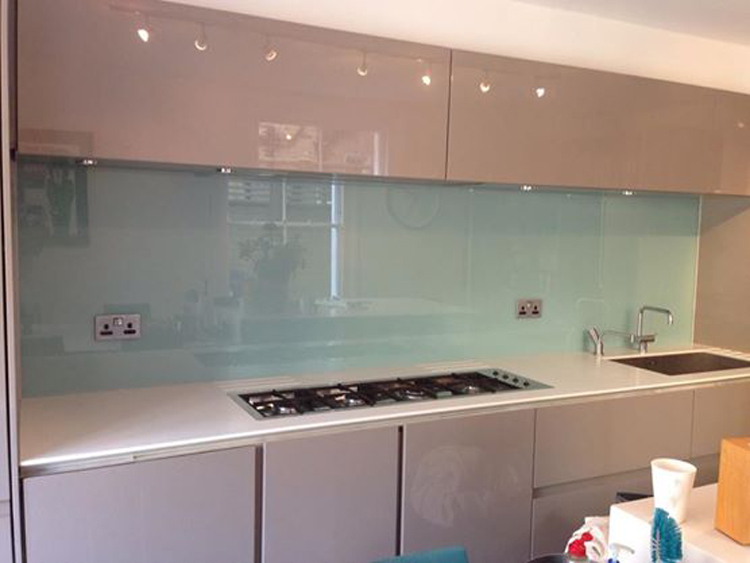 Strong and solid 6mm thick toughened glass that is quite easy to install. Delivery time is prompt. These glasses are very easy to clean and can be fitted with glue or screws. They can also be cut to fit narrow spaces and produce complex shapes. 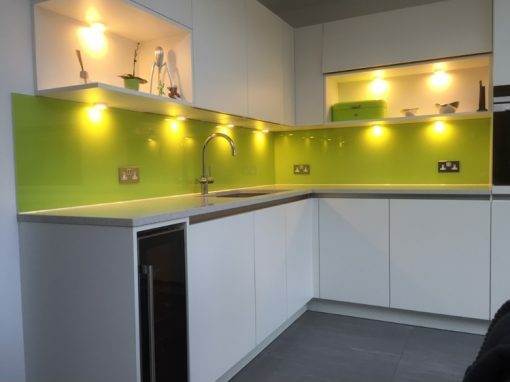 A glass splashback is a very effective method of adding color to your kitchen while at the same time giving a clean and an airy feel. The glossy, reflective appearance matches well with any modern kitchen and shields your walls from any stains from food splatters that happen during food preparation! 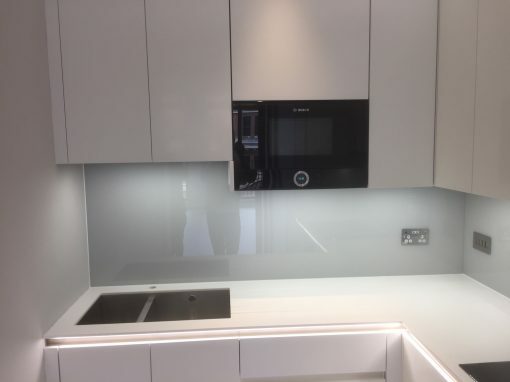 So you may be wondering how to install a glass splashback in your kitchen – well, it’s easier than you might think. First of all, we recommend you work with a professional. 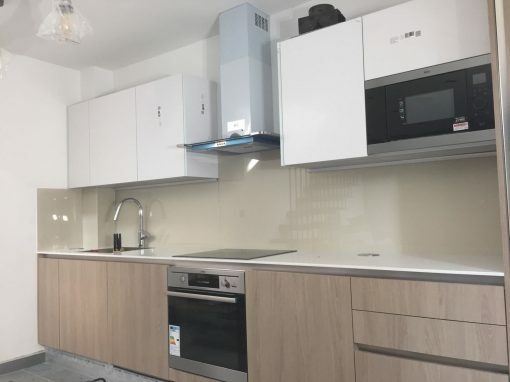 You can simply just give us a call at Southern Toughening Glazing Whitechapel, as we offer installation services, but if it is something you wish to do yourself, then remember to secure the edges of the glass as glass is a very dangerous material. It should not be put down just anywhere as it can easily get damaged and cause a danger to others, you should also remember to put on protective eyewear and gloves to protect your hands.